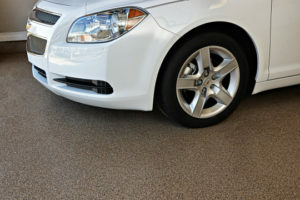 Locally owned and operated, New Mexico Garage Floors has a combined 17 years’ experience with providing clients with the highest-quality, industrial-grade, affordable and most beautiful garage floors in the state. Our team has serviced over 1,100 unique floors resulting in over 1,100 happy clients. Tim has over 20 years’ experience as a General Contractor, which has fueled his passion to ensure the quality of his work and treat every garage floor as a work of art. The materials we use for our epoxy flooring are not available at any home improvement stores or paint supply houses. We purchase our unique high-quality materials directly from some of the country’s top manufacturers, cutting out the middleman and providing savings for our clients. Since we are locally owned, we are able to help clients save additional money by eliminating Franchise Fees, Middlemen, Sub-Contractors, Labor Crews, and by purchasing our materials direct from the top manufacturers in the country. Please take a few minutes to check out our process, products, and view some of the previous work we have completed, and you will see why New Mexico Garage Floors is the perfect fit for you. 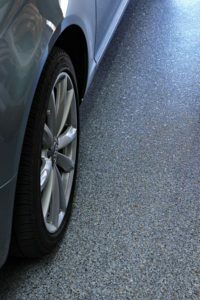 This will be the last garage floor your home will ever need! Tim grew up in New Mexico and after graduating from New Mexico State University he embarked his on a career as an extremely successful General Contractor. For over 20 years he specialized in kitchen and bathroom remodel until he fell in love with the epoxy garage floor business. With his knowledge and experience as a General Contractor, he is able to apply his skills, quality of work, and the passion into every floor he completes.